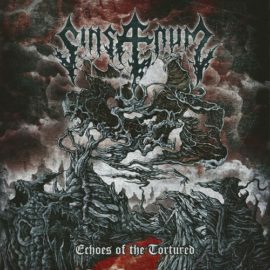 The 2016 debut did not quite live up to the expectations of the Allstar project SINSAENUM – quite different the second album, „Repulsion For Humanity“, which has now been released. Bandhead and Dragonforce-guitarist Frédéric Leclerc about the different approaches to both albums, the reasons why Attila hardly contributed to the new album and the preparations for the tour. Your first album was released only two years ago, in the meantime you published an EP. How much time do you have for your other projects, especially Dragonforce, at the moment? Right now I am doing summer festivals with Dragonforce, and we started working on new songs for our next album. I am of course very busy with SINSAENUM as well since the album is out now, but yeah – I have time to do both. Would you say, SINSAENUM is your main project at the moment? I am involved in SINSAENUM and Dragonforce equally. Both are very important and I treat them as someone with two kids, I imagine: They are different, not the same age, not the same characteristics, but yeah, I love both. SINSAENUM holds a special place in my heart because I started it and I am involved in every aspect of its evolution, but I also wrote 80 % oft he last Dragonforce album. Two years is no time for a new album – how did you manage it to be that quick? I didnt have any problems with inspiration. The review for „Echoes“ were great and I guess that motivated me. I have a lot of hatred inside of me and it had to come out one way or another: it came out as „Repulsion for Humanity“. When you look back on „Echoes Of The Tortured“ – what do you think about that album from today’s point of view? I am very proud of it and I wouldn‘t change a thing. Im happy with the sound, the artwork, the performances, the interludes, the songs. I wouldnt change a thing. 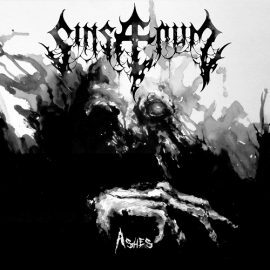 I think the musical development of SINSAENUM is striking – the debut was very straight extreme metal, „Ashes“ was a bit more diverse, but „Repulsion For Humanity“ is even more versatile. How did this development come about, what are the reasons for this development? 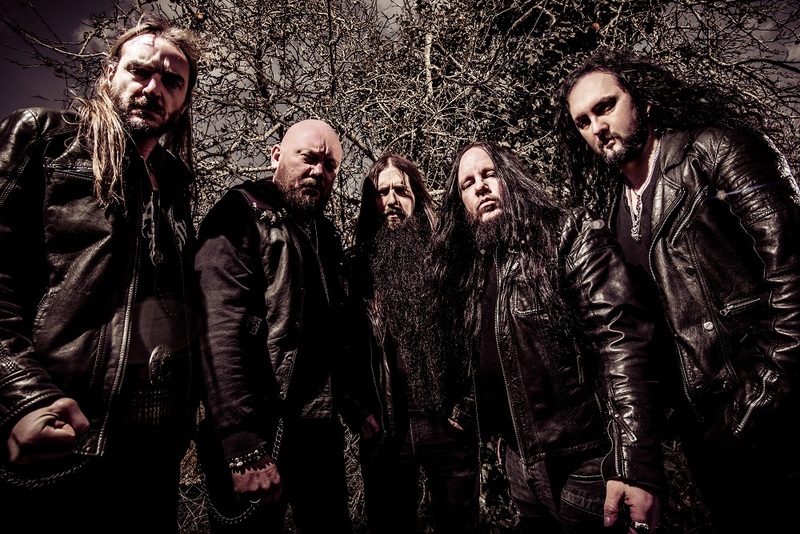 The first album has been mostly written „just for myself“: When I started writing songs for what would become SINSAENUM, I didnt know who would be in the band, hell, I didnt even know if that would end up being a band. All I knew was that I wanted to write perfect death metal songs. And dont get me wrong, when I say perfect, I mean: “perfect for me“. I wanted the riffing of Morbid Angel with the vibe of Pestilence, the violence of Deicide with some of the groove of Carcass … I wanted to combine all my influences and make the death metal album I always wanted to hear. Then the band became what it is now – because they all have a strong musical personality, because I know who I am playing music with and because they got more involved in the songwriting … and because this time theres nothing more to prove. I have done that „perfect“ death metal album, now all I care about is violence, no matter if the song is slow, has a punk riff or lasts 9:30 minutes. Theres less rules, and therefore more room for experimentation. There are also some really dark, but quite „calm“ songs on that album. What made you rethink the approach to go always with the most extreme riffing, drumming and screaming? Exactly what I just said before: its a natural evolution. I didn’t think as much as I did on the first album – if at all! „Echoes“ was very defined, with interludes, telling a story, with an order. This one is just a giant fist through your skull, just pure sonic hate. Did you change anything regarding your cooperation within the band? In our last interview you told us, that you never met as a band before the album was recorded … how did you work this time? We rented a house during the winter, in France. Joey flew in and recorded the drums with Stephane and me, and they Heimoth and Sean joined us some days after, so we all were working on the songs, the structures, the lyrics, the vibe … it was important to have that connection this time. A little downer is that Attila is no part of the new album. What was the reason for that? 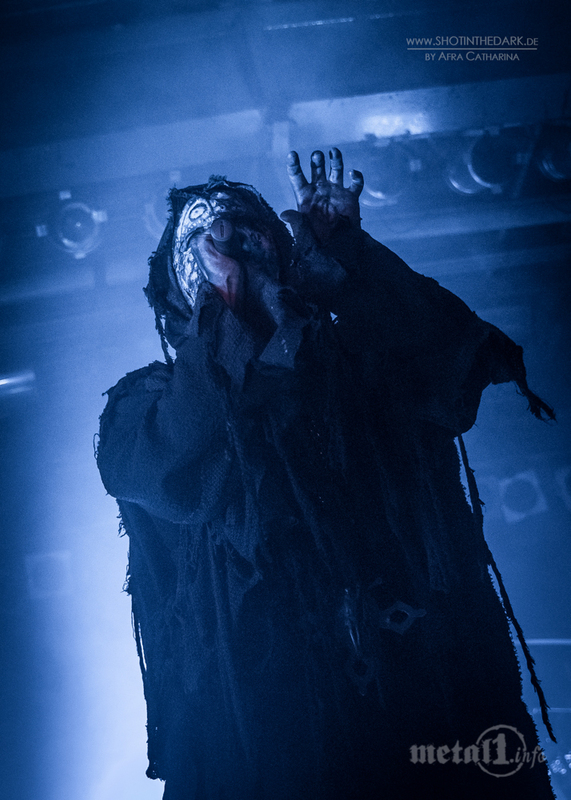 He has been – and still is – very busy with Mayhem, Sunn O))) and Tormentor. And so, when he came here to record „Ashes“, we talked about the album recording and we already knew he wouldn‘t be able to be free around that time. So most of the songs were written with that in mind. Attila is still a member of the band, he just wasnt free for this album and asked us to not wait for him because there was a momentum for the band and we needed to grab this opportunity. It’s so easy to record your tracks at home, so to say – why wasn’t it possible to wait or to get his contributions done individually and just add them to the record? Why did you decide to proceed and publish the album without him? Attila has done some backing vocals and wrote some lyrics. But has been away most of the time. I dont know if you’ve ever experience touring intensively but when you get back home, the last thing you wanna do is talk about or even listen to music! So everything has been done the way it had to be done. Also it gave more room for Sean to experiment, which was great:he has done an amazing job! Will he be part of the upcoming tour? Attila is still busy around that time and we are out to promote the new album mainly so it’s all good. In general: How do you prepare for a tour? Do you rehearse regularely, or only a few times rigth before you go on tour? With the distance, I do the same as we do with Dragonforce: you learn your parts individually, and then you rehearse with the band for a week solid. Thats what we do and it works fine, and thats what we are going to do with SINSAENUM as well. We all play the songs a few times each every day. What can we expect from your liveshows in general? Are the support-acts already confirmed? We are still working on the supports but it should be announced fairly soon! 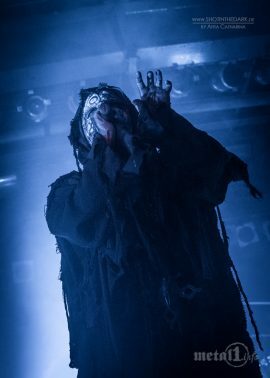 As for our live shows..we all are experienced musicians and we know the stage very well so be ready for an intense, powerful death metal show. Joey was very ill not that long ago – is he back in physical shape again to play full tours? Yes, he is doing good! He recorded „Echoes“, „Ashes“ and „Repulsion“, so you probably can figure it out yourself! (laughs) What happened to him is horrible and I admire his strength and determination to overcome all of this and be where he is now.! I’m a bit surprised, that you’re going on tour, but not playing the summer-festivals. What was the reason for that? Wouldn’t that have been a nice start for your live-shows? As I said I am busy with Dragonforce this summer, so I guess that answers your question partially. (laughs) Also the album comes out in august and I want people to know the new songs well before we go on tour. Being on tour: Travelling. Being away. Different mind-set. Meeting fans. Communion. 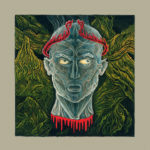 Your favorite album at the moment: „Repulsion for Humanity“ of course! Germany: Deutsche Sprache. Zehn Jahre in der Schule. Krefeld (ich hab dort gewohnt und gearbeitet). Ear Music. Metal. Kreator. Donald Trump: America. President. Not my president-literally. Not here to discuss politics. The final tour of Slayer: Thrash. All good things must come to an end. Reign in blood. Godfathers. Angel of death. 213. SINSAENUM in 10 years: don‘t know! Thank your for your time reading this. Check our new album „Repulsion For Humanity“ and see you on the road this fall! Das 2016er-Debüt wurde den Erwartungen an das Allstar-Projekt SINSAENUM noch nicht ganz gerecht – ganz anders das nun erschienene zweite Album, „Repulsion For Humanity“. Bandkopf und Dragonforce-Gitarrist Frédéric Leclerc über die unterschiedliche Herangehensweise an beide Alben, die Gründe, warum Attila auf dem neuen Album kaum mitgewirkt hat sowie die Vorbereitungen auf die Tour. Euer erstes Album ist erst vor zwei Jahren erschienen, inzwischen habt ihr eine EP veröffentlicht. Wie viel Zeit hast du derzeit für deine anderen Projekte, insbesondere für Dragonforce? Im Moment spiele ich mit Dragonforce ein paar Sommerfestivals und wir haben mit der Arbeit an neuen Songs für unser nächstes Album begonnen. Ich bin natürlich auch sehr beschäftigt mit SINSAENUM, da das Album in jetzt erscheint, aber ja, ich habe Zeit für beides. Würdest du sagen, dass SINSAENUM derzeit dein Hauptprojekt ist? Ich bin bei SINSAENUM und Dragonforce gleichermaßen involviert. Beide sind sehr wichtig und ich behandle sie wie jemand, der zwei Kinder hat: Sie sind verschieden, nicht im gleichen Alter, nicht mit den gleichen Eigenschaften, aber ich liebe sie beide. 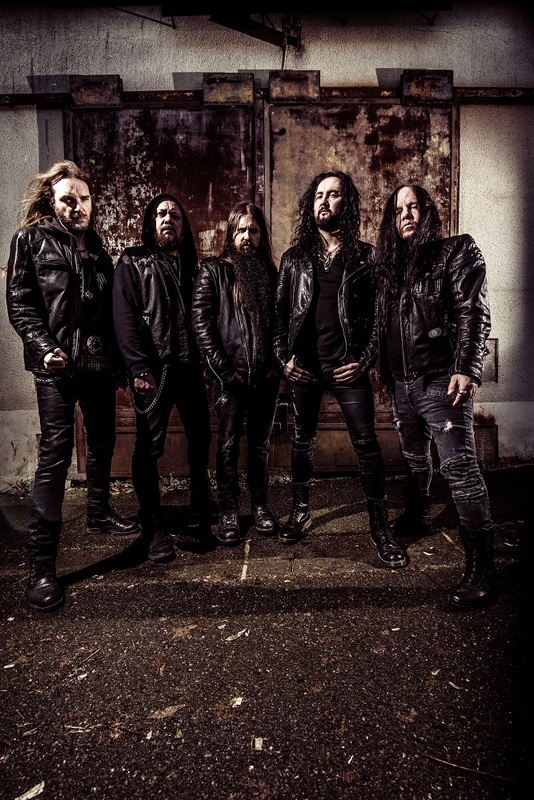 SINSAENUM nimmt einen besonderen Platz in meinem Herzen ein, weil ich die Band gegründet habe und an allen Aspekten ihrer Entwicklung beteiligt bin, aber ich habe auch 80 Prozent des letzten Dragonforce-Albums geschrieben. Zwei Jahre sind keine Zeit für ein neues Album – wie ging das? Wie konntest du neben deiner Arbeit mit Dragonforce so schnell ein neues Album schreiben? Ich hatte keine Probleme mit der Inspiration! „Echoes Of The Tortured“ ist damals super angekommen – ich denke, das hat mich motiviert. Aber ja, ich hatte in mir auch jede Menge Hass, der auf die eine oder andere Weise raus musste. Am Ende kam er als „Repulsion For Humanity“ hervor. Wenn du auf „Echoes Of The Tortured“ zurückblickst – wie stehst du aus heutiger Sicht zu dem Album? Ich bin sehr stolz darauf und würde auch nichts ändern. Ich bin glücklich mit dem Sound, dem Artwork, den Performances, den Interludes, den Songs … nein, ich würde nichts ändern. 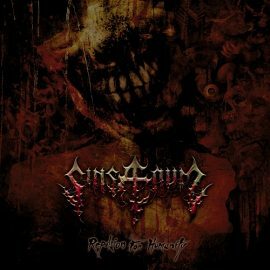 Ich finde die musikalische Entwicklung von SINSAENUM bemerkenswert – das Debüt war sehr straighter Extrem-Metal, „Ashes“ dann etwas abwechslungsreicher … aber „Repulsion For Humanity“ ist noch vielseitiger. Wie kam es zu dieser Entwicklung? Das erste Album habe ich „nur für mich selbst“ geschrieben: Als ich anfing, die Songs für das zu schreiben, was einmal SINSAENUM werden würde, wusste ich nicht, wer in der Band sein würde – zum Teufel, ich wusste nicht einmal, ob es eine Band werden würde. Ich wusste nur, dass ich perfekte Death-Metal-Songs schreiben wollte. Und verstehe mich nicht falsch, wenn ich perfekt sage, meine ich: „perfekt für mich“. Ich wollte das Riffing von Morbid Angel mit dem Vibe von Pestilence, die Gewalt von Deicide mit dem Groove von Carcass verbinden. Ich wollte all meine Einflüsse kombinieren und das Death-Metal-Album machen, das ich schon immer hören wollte. Dann wurde die Band zu dem, was sie jetzt ist – weil alle Beteiligten eine starke musikalische Persönlichkeit haben, weil ich weiß, mit wem ich Musik spiele, weil sie sich mehr mit dem Songwriting beschäftigt haben … und weil es diesmal nichts mehr zu beweisen gibt. Ich habe dieses „perfekte“ Death-Metal-Album gemacht – jetzt geht es mir nur noch um Gewalt, egal ob der Song langsam ist, ein Punk-Riff hat oder 9:30 Minuten dauert. Es gibt weniger Regeln und damit mehr Raum für Experimente. Es gibt auch einige wirklich dunkle, aber ziemlich ruhige Songs auf diesem Album. Was hat dich dazu gebracht, den Ansatz zu überdenken, immer auf das extremste Riffing, Drumming und Screaming zu setzen? Genau das, was ich gerade gesagt habe: Es ist eine natürliche Entwicklung. Ich habe weniger nachgedacht als beim ersten Album – wenn überhaupt! „Echoes“ war sehr definiert, mit Interludes, hat eine Geschichte erzählt, hatte eine ganz bestimmte Reihenfolge. Das neue Album ist nur eine riesige Faust durch deinen Schädel, purer, Schall gewordener Hass. Hast du etwas an deiner Zusammenarbeit innerhalb der Band geändert? In unserem letzten Interview hast du uns erzählt, dass du dich vor der Aufnahme des Albums noch nie als Band getroffen hast … wie habt ihr diesmal gearbeitet? Wir haben im Winter ein Haus in Frankreich gemietet. Joey flog ein und nahm das Schlagzeug mit Stephane und mir auf, einige Tage später kamen Heimoth und Sean dazu – also arbeiteten wir alle an den Songs, den Strukturen, den Texten, dem Vibe. Es war wichtig, diesmal diese Verbindung zu haben. Ein kleiner Wermutstropfen ist, dass Attila nicht Teil des neuen Albums ist. Was war der Grund dafür? Er war und ist immer noch sehr beschäftigt mit Mayhem, Sunn O)))) und Tormentor. Als er hierher kam, um „Ashes“ aufzunehmen, sprachen wir über die Aufnahme des Albums und wir wussten bereits, dass er zu dieser Zeit nicht frei sein würde. Also wurden die meisten Songs in diesem Sinne geschrieben. Attila ist immer noch Mitglied der Band, aber er war einfach für dieses Album nicht frei und bat uns, nicht auf ihn zu warten: Die Band hatte gerade Fahrt aufgenommen, diese Gelegenheit mussten wir nutzen. Es ist heute so einfach, seine Spuren zu Hause aufzunehmen – warum war es nicht möglich, seine Beiträge einzeln aufzunehmen und sie der Platte hinzuzufügen? Warum hast du dich entschieden, das Album ohne ihn zu veröffentlichen? Attila hat einige Backing-Vocals gemacht und einige Texte geschrieben. Aber war die meiste Zeit weg. Ich weiß nicht, ob du jemals eine intensive Tournee miterlebt hast, aber wenn du nach Hause kommst, ist das Letzte, worüber du reden oder was du hören willst, ist Musik. Also haben wir alles so gemacht, wie es sein musste. Außerdem gab es so für Sean mehr Platz zum Experimentieren, was großartig war: Er hat einen tollen Job gemacht! Wird er Teil der kommenden Tournee sein? Attila ist zu dieser Zeit immer noch beschäftigt und wir wollen hauptsächlich das neue Album promoten, also fügt sich das alles sehr gut. Wie bereitet ihr euch auf eine Tour vor? Probt ihr regelmäßig oder nur wenige Male, bevor ihr auf Tour gehen? Wegen der großen Distanz machen wir es genauso wie bei Dragonforce: Jeder lernt seine Parts individuell, und dann proben wir eine Woche lang als Band. So machen wir das und es funktioniert gut, und so werden wir es auch mit SINSAENUM machen. Wir alle spielen die Songs jeden Tag ein paar Mal. Was können wir von den Liveshows im Allgemeinen erwarten? Sind die Support-Acts bereits bestätigt? Wir arbeiten noch an den Vorbands, aber es sollte bald bekannt gegeben werden! Wir sind alle sehr erfahrene Musiker und kennen die Bühne sehr gut, also seid bereit für eine intensive, kraftvolle Death-Metal-Show. Joey war vor nicht allzu langer Zeit sehr krank – ist er wieder in Form, um volle Touren zu spielen? Ja, es geht ihm gut! Er hat „Echoes“, „Ashes“ und „Repulsion“ aufgenommen, so dass du das wahrscheinlich selbst herausfinden kannst! (lacht) Was ihm passiert ist, ist schrecklich und ich bewundere seine Stärke und Entschlossenheit, all dies zu überwinden und jetzt dort zu sein, wo er heute ist! Ich bin etwas überrascht, dass ihr auf Tour geht, aber nicht auf den Sommerfestivals spielt. Was war der Grund dafür? Wäre das nicht ein schöner Start für eure Live-Shows gewesen? Wie gesagt, ich bin diesen Sommer mit Dragonforce beschäftigt, also schätze ich, das beantwortet deine Frage teilweise. (lacht) Außerdem ist das Album erst im August erschienen und ich möchte, dass die Leute die neuen Songs gut kennen, bevor wir auf Tour gehen. Auf Tour sein: Reisen. Weg sein. Andere Denkweise. Fans treffen. Kommunion. Deutschland: antwortet auf Deutsch: Deutsche Sprache. Zehn Jahre in der Schule. Krefeld (ich habe dort gewohnt und gearbeitet). Ear Musik. Metal. Kreator. Donald Trump: Amerika. Präsident. Nicht mein Präsident – buchstäblich. Nicht hier, um über Politik zu diskutieren. Die letzte Tour von Slayer: Thrash. Alle guten Dinge müssen ein Ende haben. „Reign In Blood“. Idole. „Angel Of Death“. 213. SINSAENUM in 10 Jahren: Weiß ich nicht! Nochmals vielen Dank für deine Zeit und Antworten. Die letzten Worte gehören dir – gibt es noch etwas, das du unseren Lesern sagen willst? Vielen Dank, dass ihr euch die Zeit genommen habt, dies zu lesen. Hört euch unser neues Album „Repulsion For Humanity“ an – wir sehen uns im Herbst auf Tour!